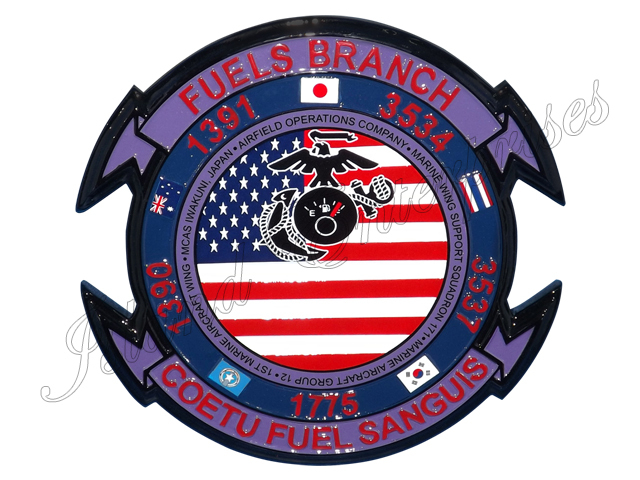 This Fuels Branch Coetu Fuel Sangui Plaque cut-out is beautifully hand carved and hand-painted. Most people think they are machine made. Our artists and carvers can create a replica of any logo, patch or drawing you send us.